Wednesday, January 30, 6pm EST: Mitchell’s guest on radio this evening is the son of Toltec teacher, author of the Four Agreements, don-Miguel Ruiz, don-Miguel Ruiz, Jr., the author of the newly-released book The Five Levels of Attachment. 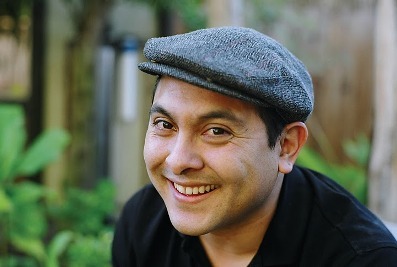 don-Miguel Ruiz, with his other son, don-Jose, who co-authored The Fifth Agreement with his father, had been guests on A Better World in early 2010 (http://abetterworld.tv/a-better-world-don-miguel-don-ruiz-3-24-10). don-Miguel Ruiz, Jr., is a Nagual, that is,a Toltec Master of Transformation. He is a direct descendant of the Toltecs of the Eagle Night lineage, and as said, is the son of don Miguel Ruiz, well-known author of The Four Agreements. He lives in Sacramento, California with his wife and two children, and travels with his father teaching and offering workshops in different parts of the country. Accessible and practical The Five Levels of Attachment invites us to break our unhealthy attachments by cultivating awareness, detaching, and discovering our true selves.